Elle18 Lipstick : Red Wave is NOT..
Home ReviewsBeauty Elle18 Lipstick : Red Wave is NOT..
Elle 18 has some really good affordable makeup products that are absolutely perfect for someone on a budget, starting new with makeup or is not willing to invest in high-end makeup product. I am up again with another Elle 18 Lipstick only because it is super affordable and has colors that are universally flattering to all skin types! 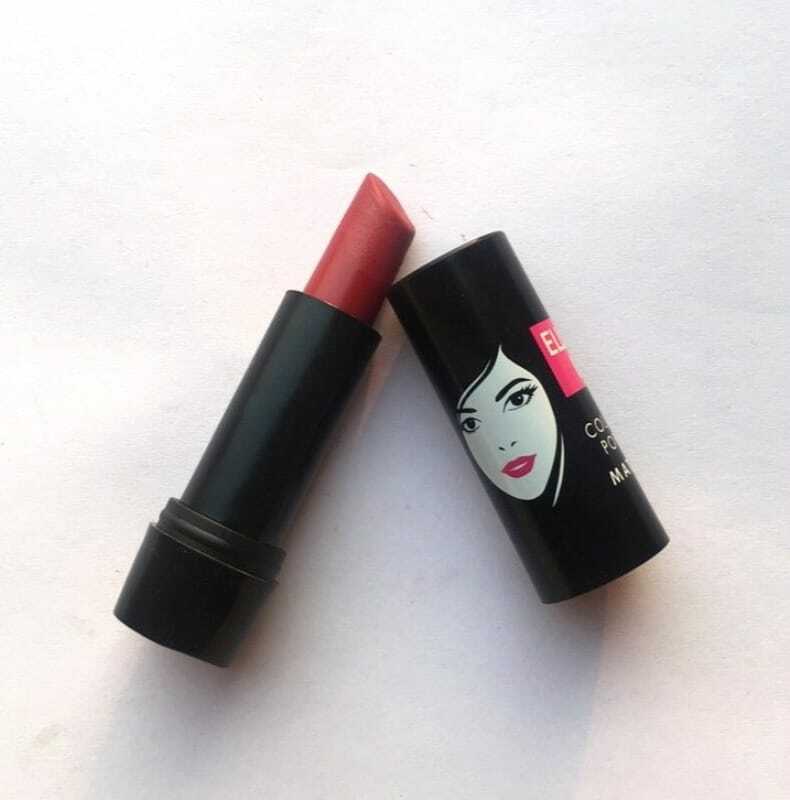 Today I will be reviewing Elle 18 matte lipstick in the shade Red Wave.I have to say though Elle 18 lipstick shades are plenty to choose from! The brand claims to be the best product for every teenage girl who wants to have fun and look good at the same time. The Elle 18 Color Pop Matte Lip Color is a lipstick that gives you a very bold and intense color in just one stroke of its application. 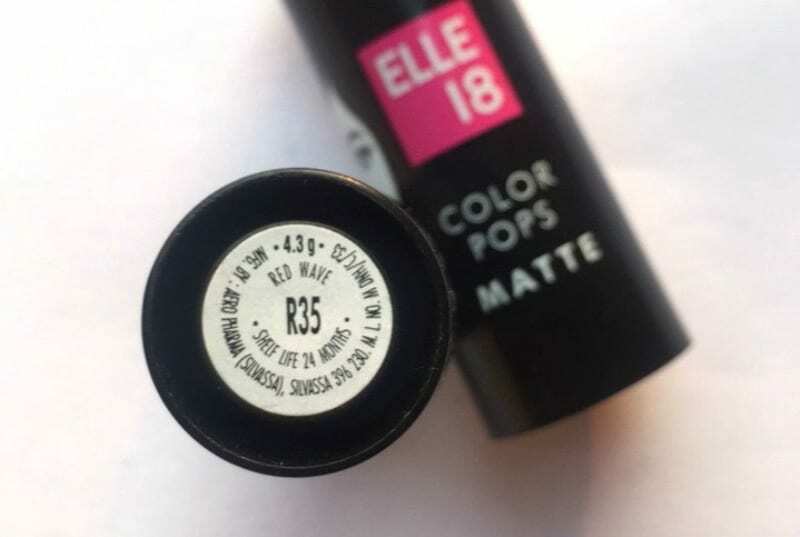 Packaging- The Elle 18 Color Pop Matte Lip Color – Red Wave comes in a very classic black plastic packaging with a girl printed over it, just like all of its other products. The plastic cover is quite sturdy, does the job quite well, and closes with a click. The lipstick comes in a retractable bullet. There is a sticker at the bottom, which gives all the necessary details regarding the product. The product is not color-coded so it becomes a little tricky to pick the shade you are looking for, especially when in a hurry. Shade- The Elle 18 Color Pop Matte Lip Color – Red Wave is a very beautiful reddish shaded color, which pops up perfectly in natural light. However, the name can be a little misleading when used under artificial light. Under artificial light, the shade is no longer red, but maroon, though no doubt that the shades are absolutely gorgeous. 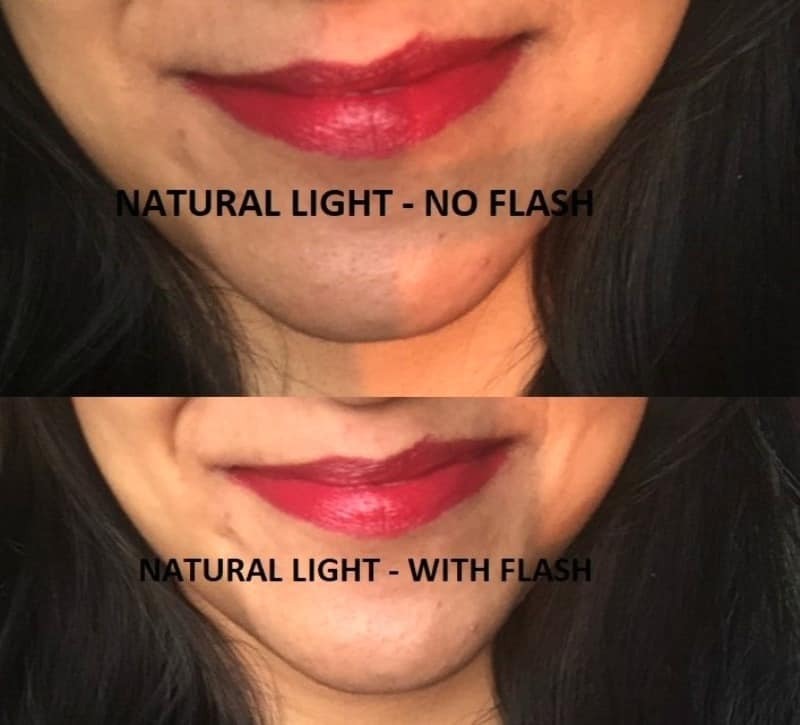 Texture & Finish- The texture of the lipstick is very smooth and creamy but gives the perfect matte finish after 20-30 minutes of application. 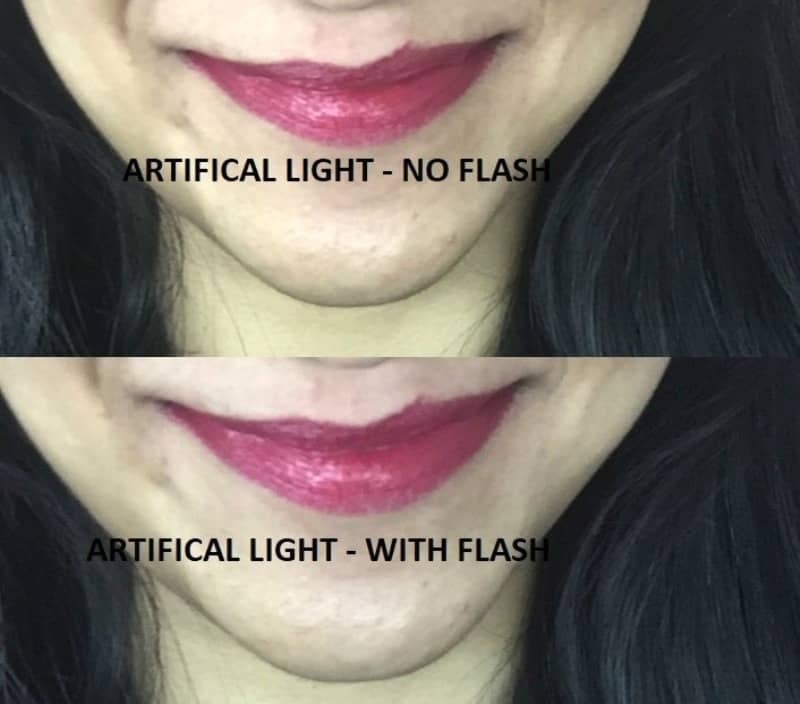 It does not crease when applied to the lips and does not highlight the lines on the lips. As the lipstick is highly pigmented, just one stroke can work wonders. Fragrance- The Elle 18 Color Pop Matte Lip Color – Red Wave is a fragrance-free product. Experience – The Elle 18 Color Pop Matte Lip Color – Red Wave because of its red-ish maroon undertone is very beautiful yet bold color for the day look as well as the nighttime. Wearing this red color during the daytime only boosts your confidence well! It gives a subtle shine (though the brand proclaims to be matte) and does not feel drying at all. I would definitely recommend the Elle 18 Color Pop Matte Lip Color – Red Wave to every college student. As the shade is lady-like and edgy at the same time, makes it a very good color for both the day and the nighttime. 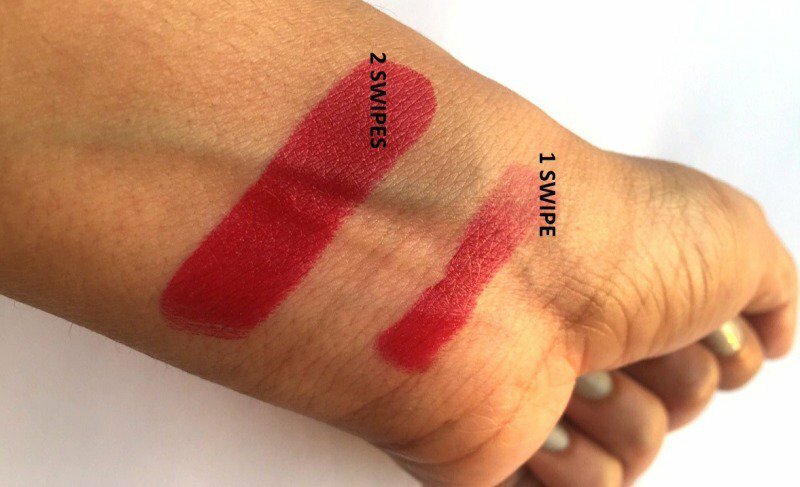 Its NOT red, red though.The lip color being so affordable will definitely not burn a hole in your pocket. The only misleading proclaim of this lipstick is the shade and that it is not matte; otherwise, I absolutely love the color and the quality! More Elle 18 Lipstick Shades? Kryolan Glamour Sparks Golden Sparks : ooooohhhh!!! Aroma Magic Under Eye Cream : Is it Worth it?